Curtin University (http://www.curtin.edu.au) is a major tertiary education provider in Perth, Western Australia. Curtin courses in a variety of areas such as Business, Health Sciences, Engineering and Humanities. 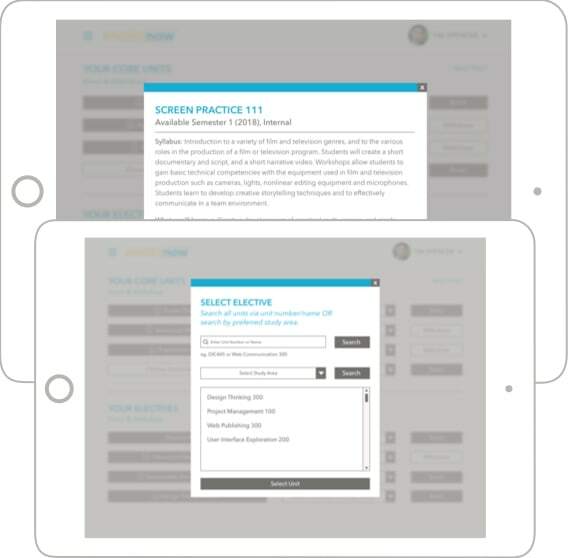 The organisation currently utilises a web-based enrolment system called ‘eStudent’ to let students enrol and withdraw from units, as well as plan their timetable and register for classes. So, I performed user research and testing to find out how the current system could be improved in a meaningful way to better serve its users. 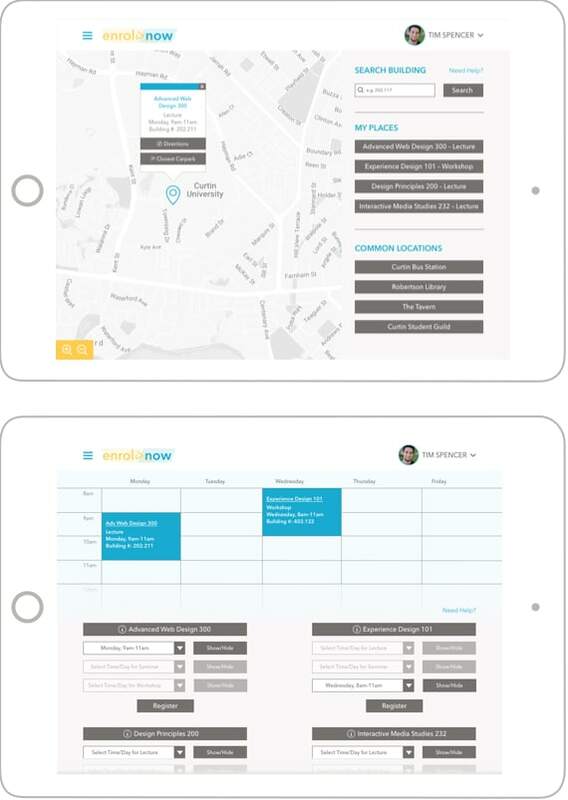 One major requirement for this project was that the new and improved enrolment system must be an iPad application that could be used on a stationary kiosk system on-campus, as well as downloaded on a students’ personal device. User research and interviews revealed that the current system did not provide clear, and easy to understand instructions when a user got stuck. Many new students also had issues finding their designated classroom and available parking areas on campus and couldn’t easily access information about their units before enrolling. As a UX/UI Designer my role entailed user research and testing, as well as prototyping and user interface design. The final deliverable for this project was a high-fidelity, interactive prototype, which I created using Sketch and InVision. To start off my research, I first compiled a number questions that would help me learn more about the current use of the system, its users, pain points and possible solutions. Who is using the current online enrolment, timetabling and class register features? When (at which point in their studies) do users come into contact with the system most? Where and in which context (at home, on-the-go etc.) 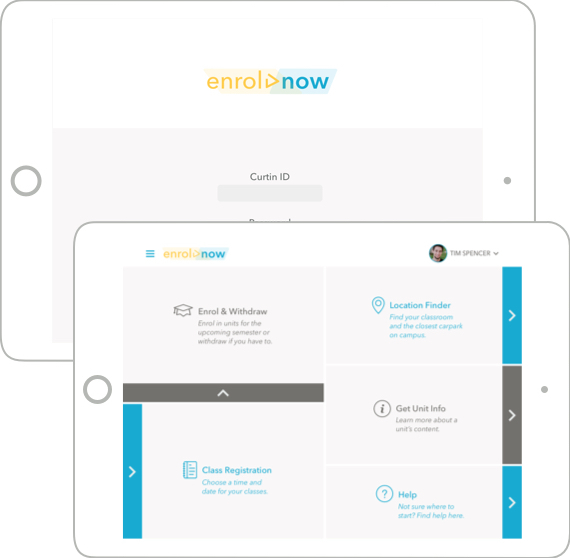 do users use the online enrolment, timetabling and class register features? What works well and what doesn’t work so well with the current system (pain points)? Why do users use the features provided and which goals are they hereby trying to achieve? How can the current system be improved, without compromising well-working features and functions? System is used frequently by first year, as well as re-enrolling students. The enrolment system is difficult to understand and use — especially for first year students. Timetabling and class register features face usability issues which prevent students from using them most efficiently and reaching their goals as quickly as possible. I chose user interviews (accompanied by a set of preliminary interviews) as the most suitable method for filling current knowledge gaps and conducted interviews in person whenever possible — otherwise I arranged phone interviews. For the interviews I wanted focus on two main user groups: mature age students and 18–25 year old students at Curtin University who wanted to enrol or re-enrol in units, plan their timetable and register for classes. All in all I interviewed 8 users, who were asked 10 core questions each (plus 5 preliminary questions). I then considered possible implications and design solutions. I created four personas (2 mature age and 2 younger students as per main target groups) and developed a scenario for each of them. 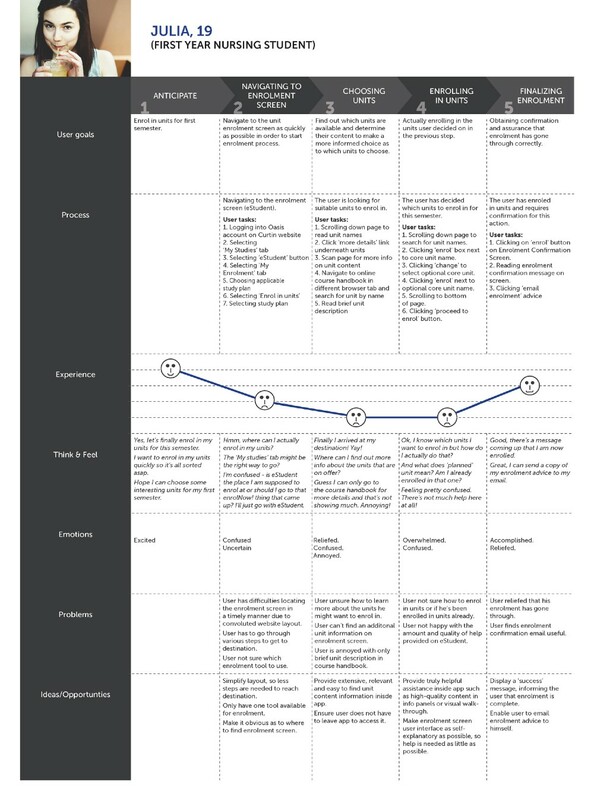 A journey map was created for two of these personas. Next, it was time to start prototyping. In this phase I analysed my finding and created paper prototypes before using Balsamic Mockups and InVision to develop digital low fidelity prototypes. These prototypes were then user tested (5 students) using InVision. This was an process that allowed me to steadily improve the UX and UI and make changes as necessary. 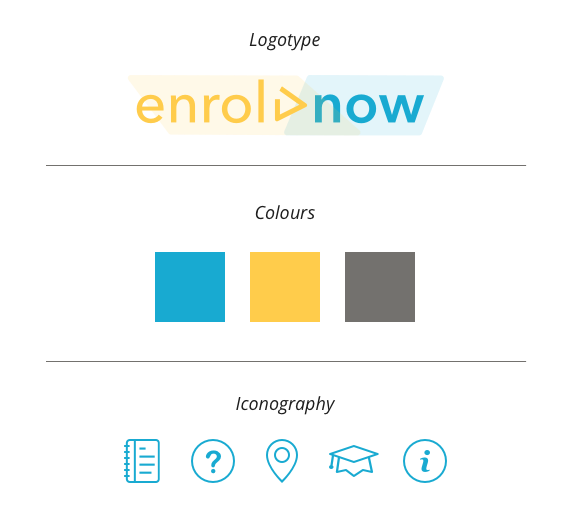 Below you can see the evolution of the app’s ‘class registration’ feature. A first version that only included a class registration feature with no calendar or timetabling ability. 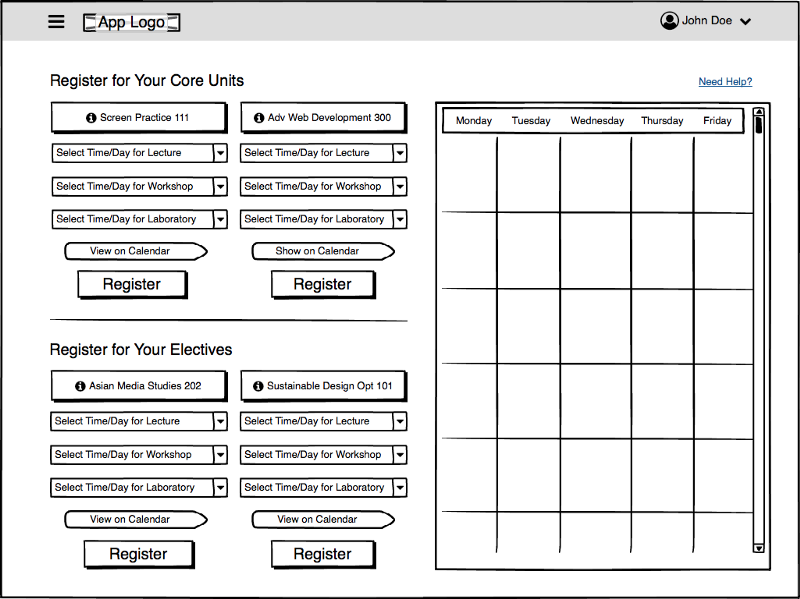 This version already includes a timetabling feature but does not allow students to easily display each tutorial or lecture on its own. Also the layout is quite cramped. Version of the same page playing with the layout of the calendar and re-organising the view of the class register list. The page now requires the user to scroll downwards more in order to see all available content. 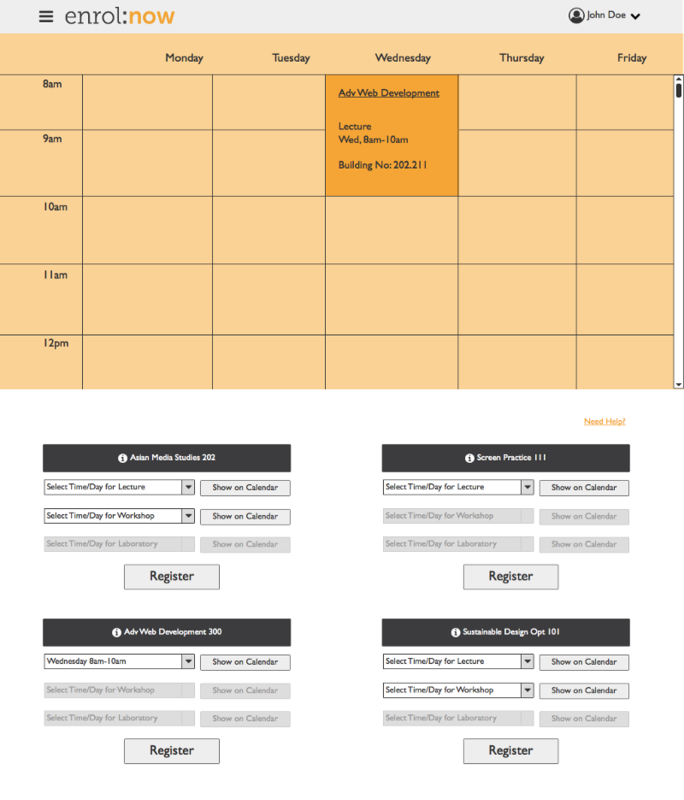 An amended version of the class registration pages features an updated calendar layout, as well as the ability to display each class on the calendar independently. The final version can be seen below. 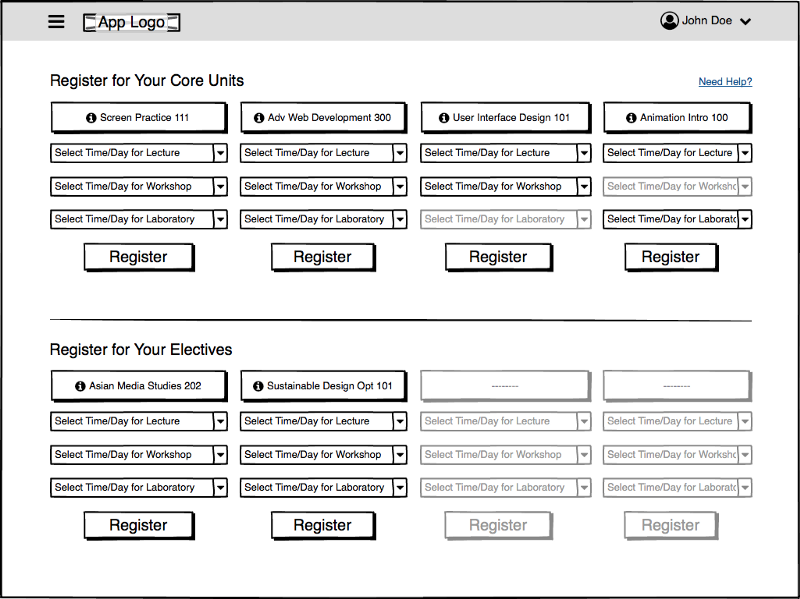 The app experience I designed was derived directly from the user research and testing I did. 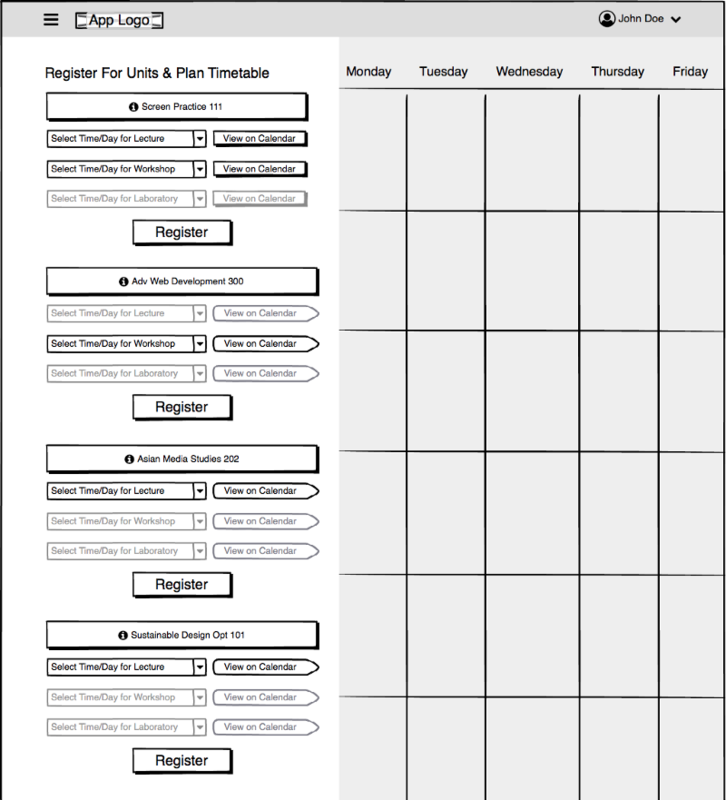 I simplified the way students can plan their timetable and register for their classes. Additionally students can get directions to their classroom on-campus and locate their closest carpark easily. 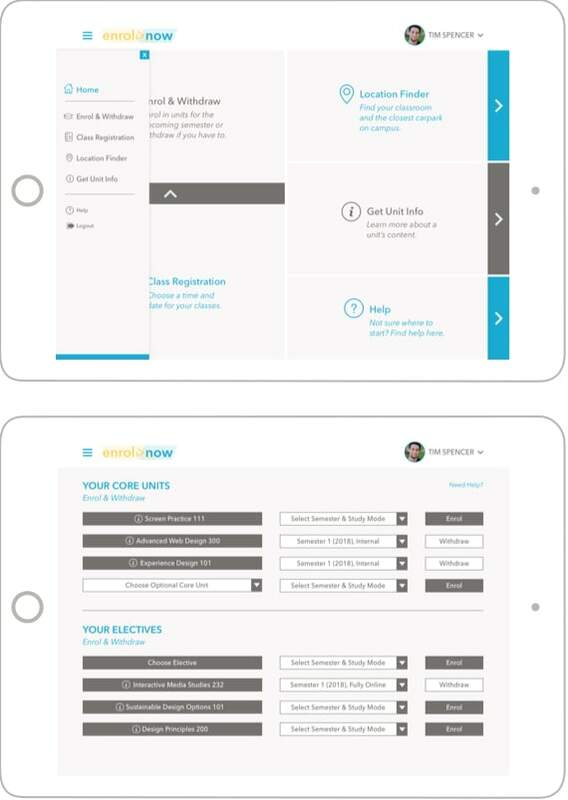 The app also lets the user learn more about units they might want to enrol in without accessing the external online unit handbook. The new help feature enables students to get unstuck faster, without overwhelming them with information. 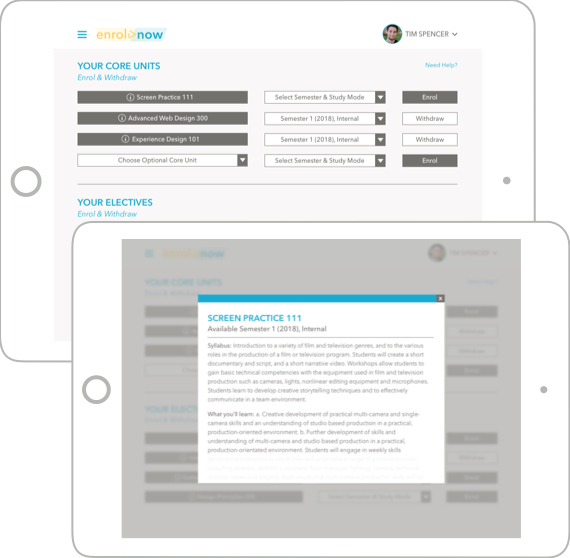 I also implemented an easy-to-use enrolment screen – an improvement requested frequently during user interviews. The experience is supported by a bright and modern user interface that enhances usability and performs well with a target audience of young, inquisitive tertiary students.